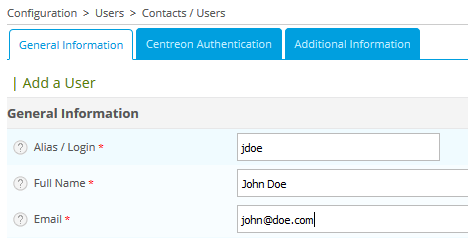 A Centreon user is both a contact who can be notified of an alert of a host or service and someone who can connect to the Centreon web interface. 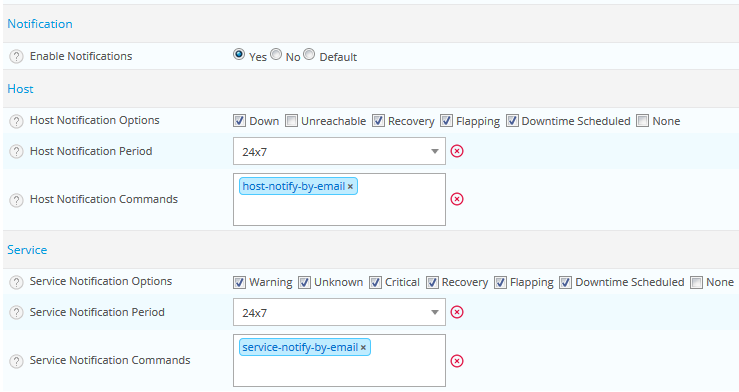 You access to a form to define your information but don’t worry all fields are not necessary! 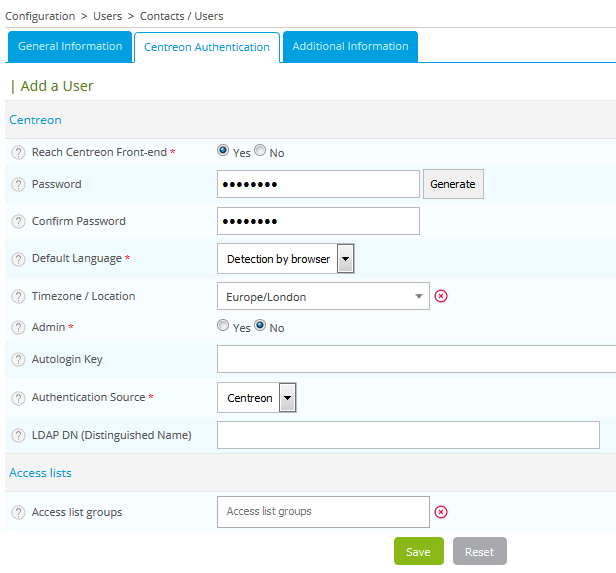 Depending on the configuration you made your account is ready to receive notification and/or connect to the Centreon web interface.